Designer phones are all the rage. Check out these high-end models. This stainless-steel, leather-encased phone boasts a sapphire crystal display, a laser-etched keypad and basic features like Bluetooth, messaging, and an audio/video player. 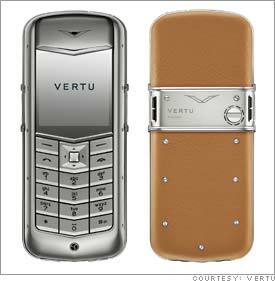 It's also the cheapest phone Vertu sells.